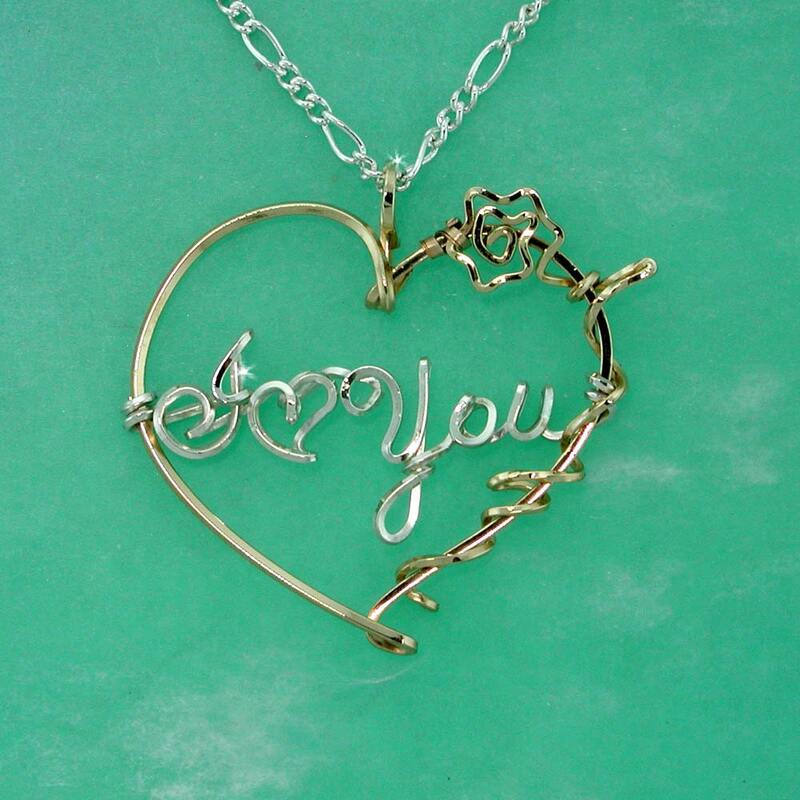 Beautiful Handmade Heart Necklace with a Twining Rose - Brides Gift, Heart Name Necklace, Sister, Friend, Someone you Love, Any Name or Word You Want up to 9 letters. PLEASE add the spelling to the "Note to Seller" Section what you check out. What a way to celebrate the Love you have for her! 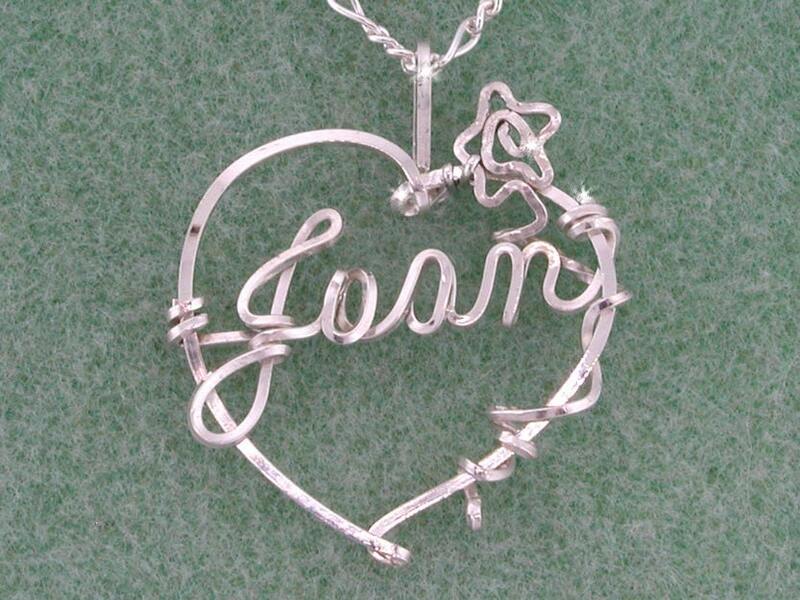 Custom designed heart necklace with your sweetheart's or special friends name and a twining rose on one side. A perfect gift for Sisters, Friends, or That Special Someone!!! Every necklace can be is created in your choice of sterling silver, gold, rose gold or a combination of gold and silver. 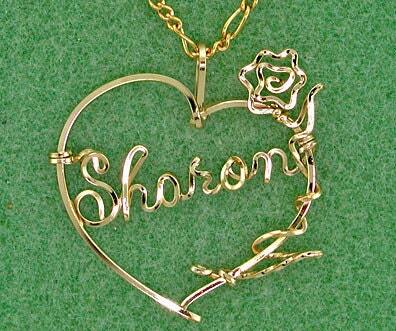 Includes a FREE chain in 14 karat gold filled, 14 karat rose gold filled or sterling silver. Your heart will vary with the length of name or word you want but an approximate size is 1 1/2 inch by 1 1/2 inch. Your purchase arrives in a gold foil gift box and is ready for giving.